Painting for Resale: Neutral Palettes - GNH Lumber Co. Painting for Resale: Neutral Palettes - GNH Lumber Co. 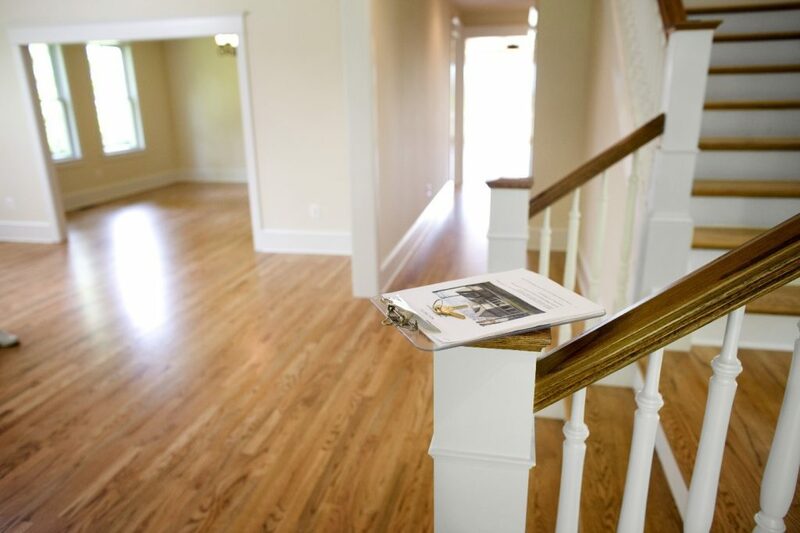 When it comes to selling your home, first impressions are everything. 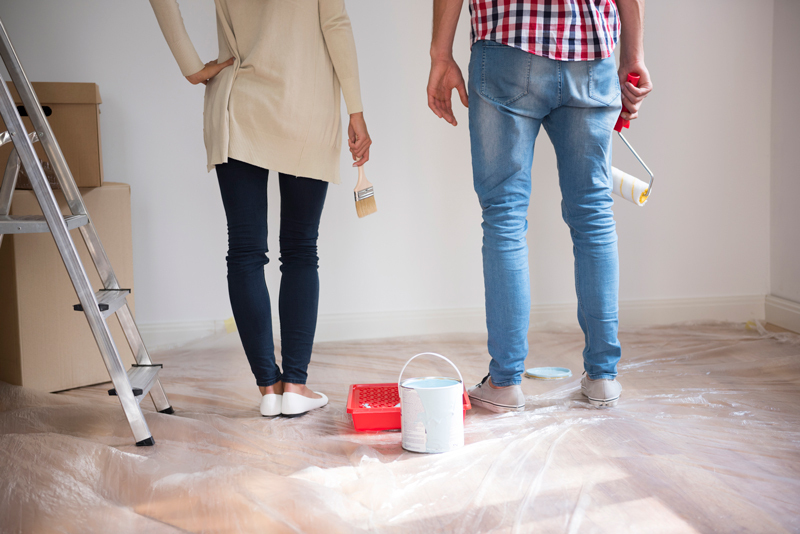 Eager buyers may ask questions about house maintenance or the quality of your neighborhood and schools, but these things will pale in comparison to the feeling a buyer gets the first time they step into your home. So, if you want to sell your house quickly, it’s critical that the decor is up-to-date and attractive. This includes the freshly-painted colors on your walls! Painting your home is quick and inexpensive way to make a dramatic improvement. Think of your home’s color palette as a backdrop. This backdrop sets the stage for the home’s furnishings and decorations and gives rooms their unique feel. Paint is a simple way to apply or change the whole feeling of a home. 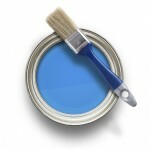 The wrong color inside or out can turn a buyer off from the entire house. 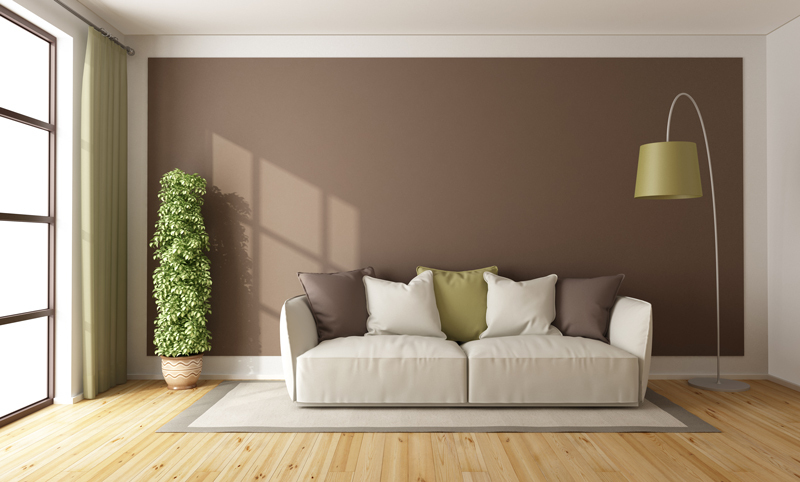 To help appeal to the most buyers, seasoned real estate professionals recommend painting your home in neutral colors. You’ll want to look at Earth tones, including shades of brown, green, blue, pale orange, and tans that are often depicted in nature. Humans are naturally attracted to the great outdoors so warm and inviting colors for living rooms and dining rooms are often perfect for when selling your home. Because these colors are often flat and muted, they’re soothing and relaxing to the eye and will go well with most people’s furniture. Earth tones also complement rooms with a lot of wood, stone, metal or glass. 2. WHAT IF YOU ARE STILL LIVING THERE? If you’re still living in the home you’re selling, changing things up can be tricky. Just know it does not mean you’ll be stuck inside a bland, beige nightmare until your home sells! Neutral colors are not limited to shades of white and beige. With a little pre-planning you can use shades of browns, greens and even bolder colors to highlight your home but still set the stage for a sale. Don’t forget about the exterior of your home when it comes to preparing for resale. Painting the exterior can also help attract potential buyers. Look around your block and see what’s trending in your community. This is not a time to go bold. 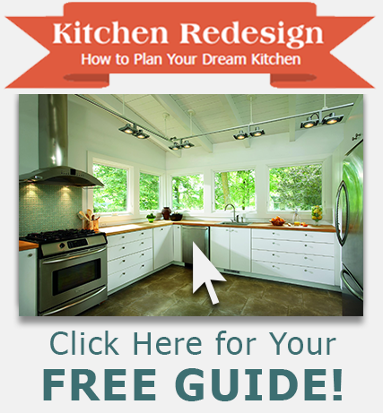 You’ll also want to know the type and style of your home before selecting a color. This is because beige might not work on all styles of homes. When picking an exterior color consider the type of house. Muted colors might not work on a Victorian home, where bolder hues would make the interesting architectural details pop. A farmhouse, would look odd in bright red because more traditionally, they are light colors like white or light gray. 4. HOW DO COLORS STACK UP? 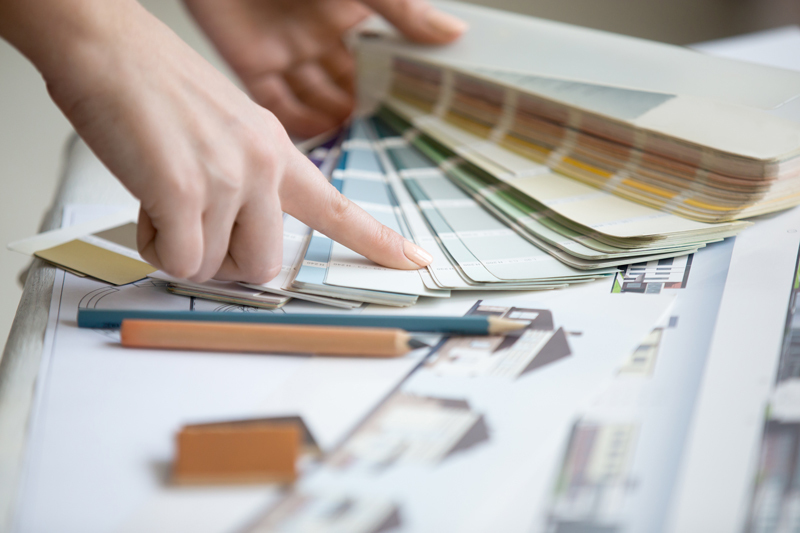 Zillow did research on what colors work best for what homes. It’s impressive to see that just a simple change of color can increase your home’s value by thousands of dollars. Blue (light blue to soft gray-blue): home sold for $1,809 more on average. Yellow (straw yellow to marigold): home sold for $820 less on average. Blue/purple (light powder blue to periwinkle): home sold for $5,440 more on average. White/no color (off-white or eggshell white): home sold for $4,035 less on average. Blue (light cerulean to cadet blue): home sold for $1,856 more on average. Pink (light pink, to antique rose; often found in kids’ rooms): home sold for $208 less on average. Blue (slate blue to pale gray blue; navy blue also found in dining rooms with white shiplap): home sold for $1,926 more on average. Red (brick red, terracotta, or copper red): home sold for $2,031 less on average. Brown (light beige, pale taupe, oatmeal): home sold for $1,809 more on average. Blue (pastel gray, pale silver to light blue, periwinkle): home sold for $820 less on average. Gray/brown (greige — mix of gray and beige): home sold for $1,526 more on average. Brown (medium brown, taupe, or stucco): home sold for $1,970 less on average. Gray/blue (navy blue to dark gray or charcoal): home sold for $1,514 more on average. Keep these tips in mind, and you’ll be able to increase your home’s value with just a simple coat of paint! And stop by GNH Lumber for paint suggestions, guidance and help at every step along the way. Do you have a painting project in mind? GNH Lumber is your source for Benjamin Moore interior paints. Stop in to your local GNH Lumber to learn more and to get that project started today.